Low rates of preservation of retirement savings will result in many South Africans not reaching their retirement goals. This is the key finding of the 2017 Old Mutual Corporate Retirement Monitor, which reports a dramatic decrease in the number of employees planning to preserve their savings should they resign from their position. The Monitor tracks trends in the attitudes of retirement fund members towards pre and post retirement over the span of seven years, with the aim of understanding how they view retirement planning. 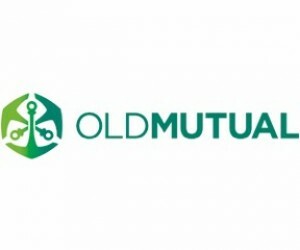 Malusi Ndlovu, Head of Old Mutual Corporate Consultants, says this dramatic decline in members’ intention to preserve is very concerning. The percentage of non-fund members who expect to work after retirement has risen from 52% in 2012 to 58% in 2016, highlighting the benefit of being a member of a retirement fund and having structured retirement planning. The reality, however, is that only 70% of working South African respondents belong to a retirement fund (either employer sponsored or private). And of those that do belong to a retirement fund, Ndlovu points out that the majority (61%) do so through their employer arrangement. “This underscores the important role employer-provided vehicles play in encouraging responsible financial behaviour.